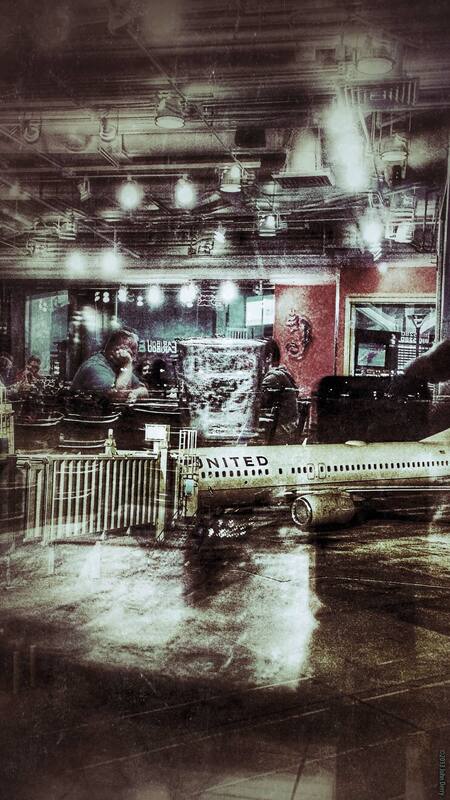 This is an iPhone image that I shot and played with in between flights at Denver International Airport. I shot the jet at the gate through a window reflecting the interior of the restaurant. I don't remember which apps I used to get to this version, but I like the way the dual reflective subjects integrate together. For regular air travelers, this is the Cantina in the United terminal.